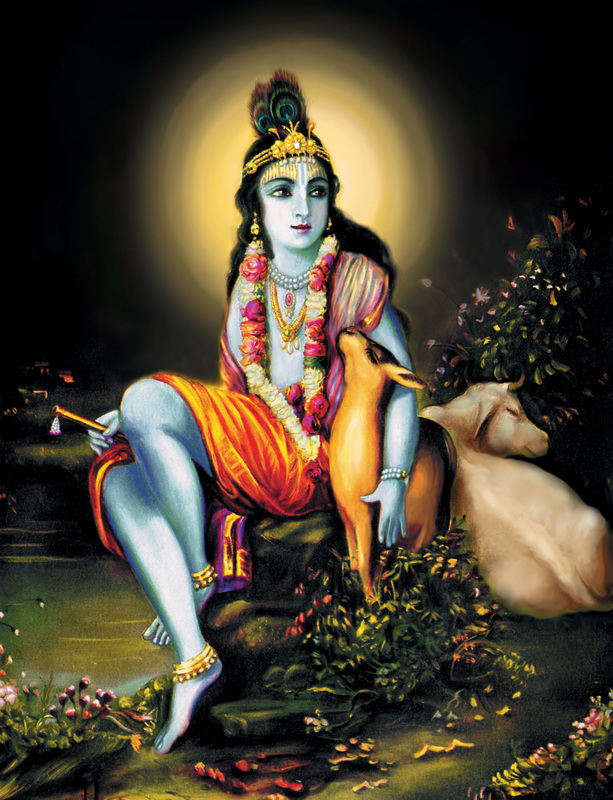 Bhagavad Gita Art Gallery--Plate 43: "Always think of Me and become My devotee. Worship Me and offer your homage unto Me.". "Always think of Me and become My devotee. Worship Me and offer your homage unto Me." PREVIOUS Bhagavad-gita 18.65 Gopala Krsna, the beautiful original form of the Lord.